This is the first in a series of posts based on how to Build an Income Generating Blog from Scratch. The series is going to help so many newbie bloggers on how to build a blog from scratch and later make serious income from it full-time. You would be glad to know that I follow the same process too. The only difference is that I approach the process with a different mentality and passion. You would need that too. At this point, Why do you want to start a blog? Why do you want to be a blogger? Why do you want to generate income from blogging? Do you just want to make more money? Whatever it is, you should be specific about your WHYs. It is after your WHYs are well answered that the HOW TOs will show up. This series will do you no good if you have not answered your WHYs. I hear a lot from would-be bloggers who say all they want is Google Adsense’s money. And when I tell them what it takes to make a lot of Google Adsense’s money legitimately, they get wearied. Blogging is NOT a ‘get rich quick’ scheme. If it were, I would not be doing a series. All I would do is just tell you to do something today and later this week, you will buy your dream car from the money made from blogging. If you think it is, then you are going to be VERY disappointed. The truth is, you can you make real money. This would take many months of learning and practice. It would take hard work, time, money, commitment and persistence. All these and many more would improve your chances of success. Also, you can start your blogging business part-time while working full-time in your organization. This is what I do for now. If you are someone who stays at home or works from home, you could find some hours to start blogging on what you know and like or what you are passionate about. The first thing you need to start an income generating blog is to choose a good and well targeted niche. Having a targeted niche means that people who come to your blog are those who were looking for what you are offering. If your niche is about “fashion”, would people look for what you offer within the concept of “fashion”? For instance, if your blogging niche is going to be about “laptops”, there are many things you could write about “laptops” and you will not be providing specific enough advice or products for the majority of your visitors as the niche is too vast. But if your niche within the concept of “Laptops” is “HP Mini Laptops”, there is less to write about and you know the people who are coming to your site are interested in HP Mini Laptops and are more inclined to return again and again. 1. How much knowledge do you have about the niche? 2. Are you willing to learn more about the niche? 3. How passionate are you about the niche? 4. Are there people in need of information about the niche? 5. Would you still be found blogging in the niche five years down the line? If you love the topic you want to blog about, you are in a much better position to understand your readers because you are part of the same niche. You know what you like, what you buy, and therefore what your visitors will enjoy and will purchase. Your niche should be a topic you are really interested in. If not, you will find it hard to build a successful blog. If you are interested, passionate and knowledgeable about the niche, then it will be much easier for you to write the content for your blog. It will also be much easier to understand your visitors’ needs and desires. You shouldn’t bother yourself too much if there are thousands of other blogs in the same niche as yours. Once your blog is unique, you will get your own share of readers and popularity. What you need to ensure is that there is an actual on-line demand for such niche. Your niche should be to provide solutions to peoples’ problems. Only then would you make money from blogging. Ask yourself, Do people have everyday problems associated with your chosen niche? Do they go on-line looking for solutions to their problems? To help yourself find a good niche, you would need to do qualitative research. That would help you choose the best niche you are interested in and a blog niche that will be sought after by your future customers. In conclusion, go ahead and do serious niche research before you consider starting an income generating blog. Once your discover your niche, you are in a better footing. Your niche is your uniqueness. Your niche is your unique selling proposition. If you need help with niche research, you can ask whatever question you have in the comment space provided below. I would do my best to answer all your requests ASAP. Our desire is to have at least 50 Nigerians making serious money online by the end of this year. If you want to be part of them, make sure your subscribe with your email, check your email for subscription confirmation and then activate your subscription. i really acquired a lot of information through this post and hoping that you will keep on sharing and opening more secrets about online marketing to us. You’re doing great here. Glad you’re helping Nigerians making money online. Keep the good work. Thanks for stopping by to drop a comment. I appreciate. I will continue to do the good work. Very good blog! Do you have any helpful hints for aspiring writers? I’m planning to start my own website soon but I’m a little lost on everything. Would you propose starting with a free platform like WordPress or go for a paid option? There are so many choices out there that I’m totally overwhelmed .. Any ideas? Kudos! @Dulcie… Thanks for your comment. 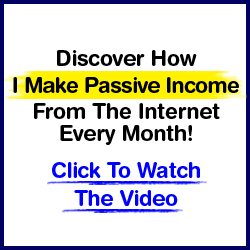 I would advise you to start once and for all with a paid blog. And for your writing quest, you should stay as one of our subscriber in order to get more updates on that.